You’ve probably read articles about all those expensive and incredibly rare, collectible books, like the very covetable first edition of J.K. Rowling’s The Tales of Beedle the Bard, of which only seven gem-covered, leather-bound editions were made. So you probably don’t have a rare Harry Potter book sitting in your attic, but you might be astonished to know some books sitting on your shelves can be resold for somewhere around $300 to $10,000. J.K. Rowling’s first Harry Potter book was printed in the U.S. in 1998 and by 2000 she has become an international literary icon. As Rowling’s fame skyrocketed, her book tours became much shorter and spots in her signing lines became much harder to get into. So, it makes sense that any signed copy of Rowling’s books would be quite valuable. While a signed first edition is best, one of the fifth book in the series, Order of the Phoenix sold for $7,657 in ‘07 — autographed copies of many Harry Potter books are being sold on the site currently for anywhere from $850 to $2000. 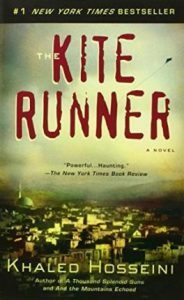 While The Kite Runner is now deemed one of the most highly acclaimed and beloved books of all time when it was first published in ‘03, it only had a little first printing. Because there are not a lot of first edition copies, they can be resold for a nice amount of money. The most expensive first edition was sold on AbeBooks for around $3,000 and signed first editions are now being sold on the site for $1,350. Dan Brown’s The DaVinci Code became a global phenomenon after it was released in ‘03. According to AbeBooks, a signed first edition was sold in May of 2006, the year the movie came out, for more than $4,000, the biggest amount ever paid for a copy of this bestselling thriller. Although there are many ways you can go to earn $1 million, here’s some that might surprise you: cashing in on your geeky collectibles. It sounds a little far-fetched, but some collectibles have made their owners huge dollars at auctions. Of course, how much your geeky collectibles are worth can be biased and might depend on plenty of factors including rarity, age, demand, and condition. 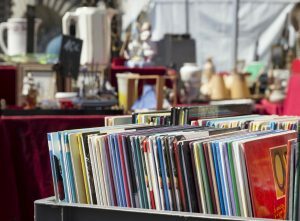 You’ll likely need many valuable and rare collectibles to get $1 million, but it could be worth giving it a try if you’ve got a collection. Look at these geeky collectibles you might already own. If you’re lucky, you could have a jackpot collectible more valuable than gold. Comic books are a very popular collector’s item. The rarer and vintage your comic book is, the more it’s worth. Just because your comic book collection might have some rare and vintage copies, though, doesn’t ensure it’s worth $1 million. You must take into account other factors when you’re buying, selling or trading comic books. For instance, you should know your comic book’s marketability Comics with classic covers or first appearances are usually more valuable. A 1938 copy of Action Comics #1 sold in ‘14 for $3.21 million on eBay. Action Comics #1 had the first appearance of Superman and cost 10 cents when it debuted. Besides being vintage, the comic book is rare since there are only 100 copies. Coin collectors really have a valuable hobby. Based on their rarity and condition, coins can be one of the best things to collect for investment. The rare 1894-S Barber dime usually sells for more than $1 million, although it has sold for over $2 million at private sales. In fact, an 1894-S Barber sold for $1.99 million at an auction in FL in ’16. Inverted Dendermonde -The Inverted Dendermonde, which shows the town hall upside down, is Belgium’s best contribution to the printing errors. Although this error leaked through two sheets of the stamp’s first run and one pane of the second, just 17 are known to still exist. It is rumored that two of these stamps were lost when a well-known stamp collector was murdered in ‘42. If you wanted to get your hands on one, you will be set back an estimated €75,000. Inverted Jenny – Another printing error is what placed the big price tag on the Inverted Jenny. Worth around €750,000, this stamp has an upside-down image of the Curtiss JN-4 airplane and was distributed in the US in ‘18. Only 100 copies got to make it through printing, which is why the Inverted Jenny is priced so highly. Baden 9 Kreuzer – Rather than being valuable for an image error, the Baden 9-Kreuzer is a moneymaker because of a color error. A 9-Kreuzer stamp has the face value of 9-Kreuzer and is colored pink, whilst the 6-Kreuzer stamps were green. Though, an error in printing meant that a batch of 9-Kreuzer stamps were colored green, instead of pink. Only a few exist and one was sold in 2008 for more than €1 million. The First Two Mauritius – Issued in 1847 in Mauritius during the British Colony, these stamps were modelled on the British stamps with an appearance of Queen Victoria. With just 26 copies known to still exist, it is no wonder that this stamp hold a value of over €1 million. The Treskilling Yellow – The Treskilling Yellow is thought to be one of the most expensive postage stamps on earth due to the fact it should be printed in a blue-green color with the three-skilling print, but it was printed in yellow. This Swedish misprinted stamp issued in 1855 is deemed to be the only surviving copy to exist, which is why it is worth over €2.1 million. The Penny Black – Issued in the United Kingdom in ‘40, the Penny Black was the first stamp in the world, which is why this stamp is so valuable. 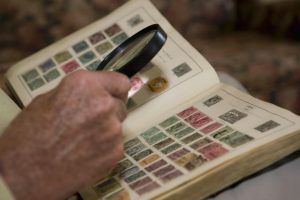 Although not the most valuable or rarest collector’s item, they set the path for the future of British postage stamps. The Penny Black has a picture of Queen Victoria II and does not show the country of origin, as is custom today. Even though there are plenty of Penny Blacks for sale, an unused one can get a lucky owner around €3,000, making it a very popular with collectors. Inverted Swan – The Inverted Swan is one of the most unique and famous stamps in the world, not because of its gracefulness, but rather because it was one of the first invert errors in the world. The Inverted Swan was given in Perth, Australia in 1855 when a complex process of producing these stamps through lithography was followed. However, contrary to belief, it is really the frame that is inverted rather than the swan. This famous stamp was last sold in ‘83 for €35,500. Red Mercury – The Red Mercury stamp is very valuable due to its rarity. Rather than a postage stamp, the Red Mercury was for mailing newspapers. These stamps have an image of the Roman god and were printed in red, yellow, and blue based on a number of newspapers in the bundle. However, the Red Mercury was short lived and was soon replaced, which is why a small number of copies have survived and why they hold such a true value of €37,000. Hawaiian Missionaries – In spite of the cheap blue paper that the Hawaiian Missionaries stamp was printed on, these are among the most valuable and rarest stamps of all time, now worth around €39,000. The Hawaiian Missionaries were the first stamps to be made in Hawaii. What can you call a hobby which teaches so much and offers pleasure and fun. Stamp collecting helps educate the collector in biography, geography, art, history, and culture. Stamps are little gateways to the world. Stamp collecting has practically no rules. You don’t have to purchase pricey rackets and sneakers to enjoy it. Though, there are some things to remember when collecting stamps. One of the critical rules to remember is that the condition of a stamp is a vital consideration. Seriously mis-handled stamps and torn stamps are not only not pleasant to the eyes, but they aren’t worth much when compared to undamaged ones. Try to get the finest possible specimens. Stamps are rated in condition from poor to spectacular. A stamp which can be called superb is one of the best quality, meaning it has brilliant colors, perfect gum, and perfect centering. A used stamp can also be called spectacular, if it is good-looking, undamaged, and perfectly centered. Stamps are good when they are fairly attractive and off-center. There may be little blemishes like thin areas, huge hinge marks, and disturbed gum. Stamps which aren’t up to par should be discounted and aren’t worth buying by a serious collector. However, folks sometimes collect them as starters. Since a stamp’s condition is crucial and stamps are only made of paper, when handling them it is vital to use caution. The best way to carefully handle stamps is with tongs. Because stamps are tiny, it is hard to see all their smallest details with the naked eye. Magnifying glasses will aid you in seeing the design better and find small details which can help tell one stamp from another. You’ll soon find out that there are times when stamps look to be the same, but aren’t.